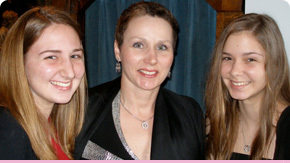 At the Lori Ann Breast Cancer Foundation, we understand what its like to be a breast cancer patient, family, friend and caregiver and our goal is to help you through it. The Foundation was formed with the mission to inform, educate and comfort patients and their caregivers, while minimizing stress and suffering during the journey that is breast cancer. One of the toughest aspects of living with breast cancer is coping with a potentially life threatening disease and the symptoms and treatments involved. We’re here to help you through that part. We aim to provide emotional and financial support to individuals and families suffering from breast cancer. We are here to here to provide and want your help. Learn how you can make it happen. We don’t want to fund the cause, we want to support the individuals and family’s suffering from breast cancer and help bring them peace. Learn how our foundation helps those in need. Most cancer research promotes the discovery of a cure. The Lori Ann Breast Cancer Foundation wants to find a way to prevent cancer by discovering the cause through supporting research at the cellular level. What is cell based research and why support it.